Long Description: A design made for classic Arts & Crafts style homes, but looks great on contemporary or modern homes as well. The opaque linen glass softens the light, reducing glare and hot spots. Q Is this fixture available with clear/seeded glass instead of the linen glass? 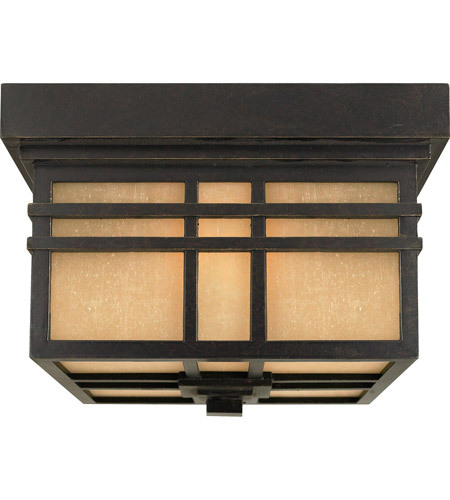 A The Quoizel Lighting Hillcrest 2 Light Outdoor Semi-Flush Mount HC1612IB is only available with the opaque linen glass. 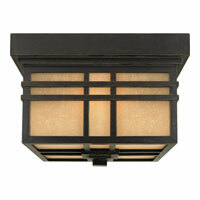 A The Quoizel Lighting Hillcrest 2 Light Outdoor Semi-Flush Mount HC1612IB depth is 11.5"